…Sometimes an ever-liberated personal associate of the Supreme Personality of Godhead descends into this universe just as the Lord descends. Although working for the liberation of conditioned souls, the messenger of the Supreme Lord remains untouched by the material energy. Generally ever-liberated personalities live in the spiritual world as associates of Lord Kṛṣṇa, and they are known as kṛṣṇa-pāriṣada, associates of the Lord. Their only business is enjoying Lord Kṛṣṇa’s company, and even though such eternally liberated persons come within this material world to serve the Lord’s purpose, they enjoy Lord Kṛṣṇa’s company without stoppage. 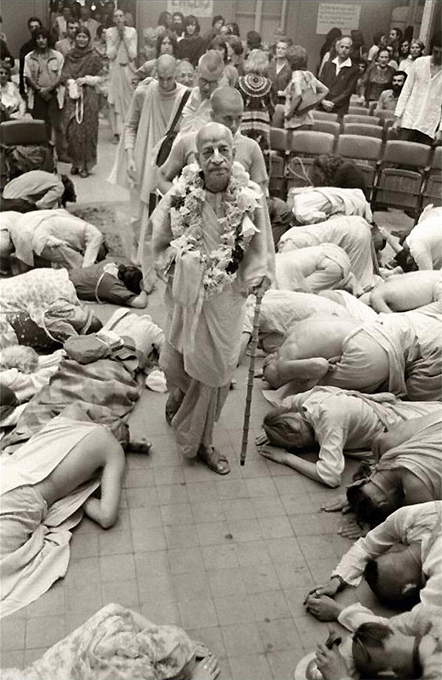 The ever-liberated person who works on Kṛṣṇa’s behalf enjoys Lord Kṛṣṇa’s company through his engagement.